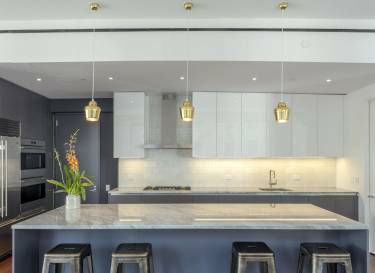 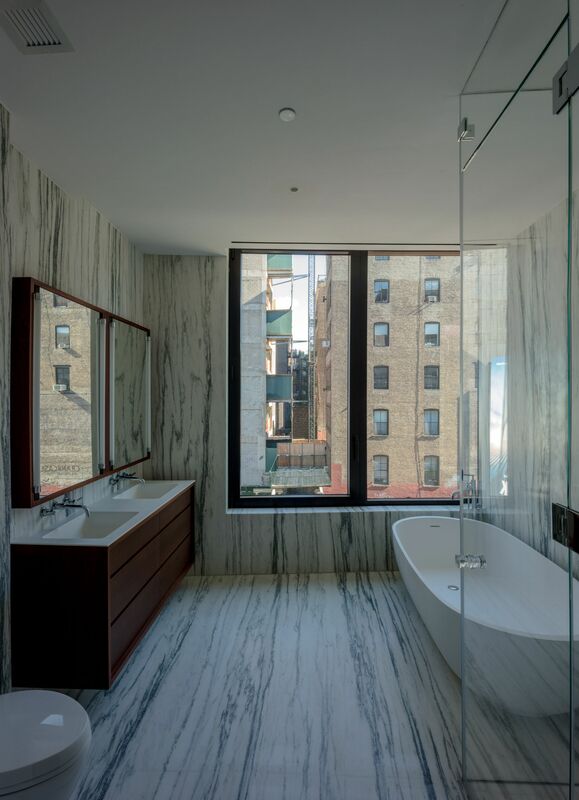 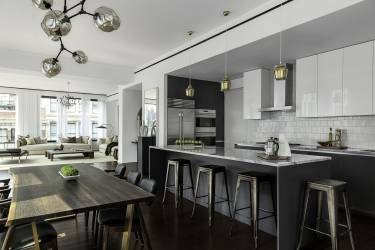 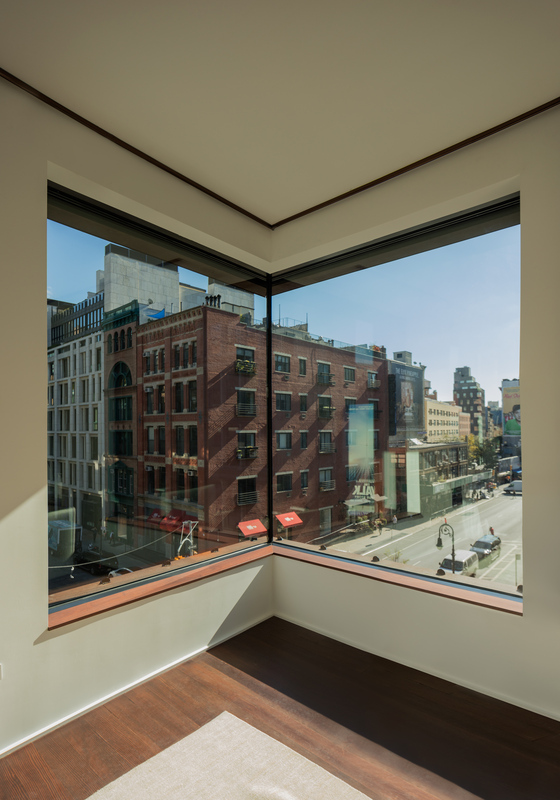 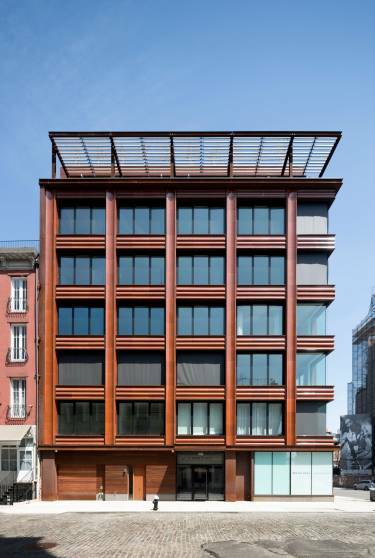 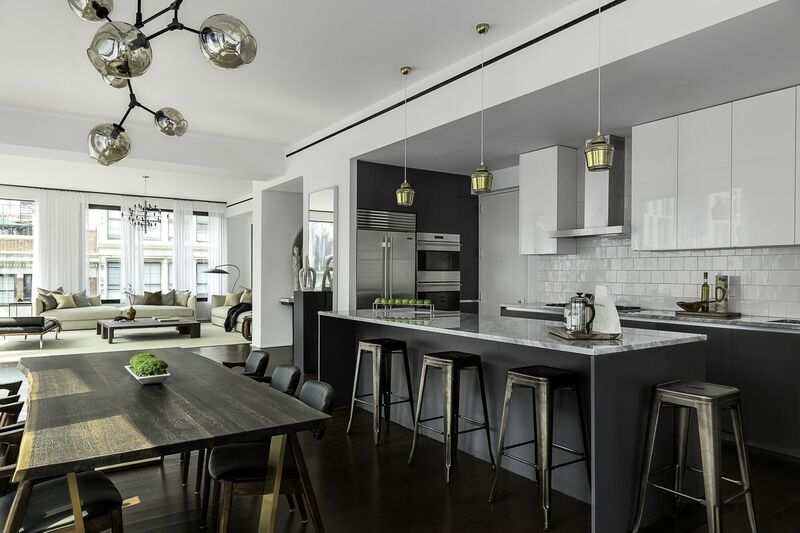 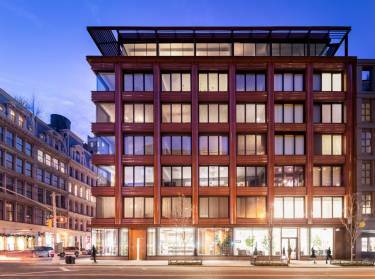 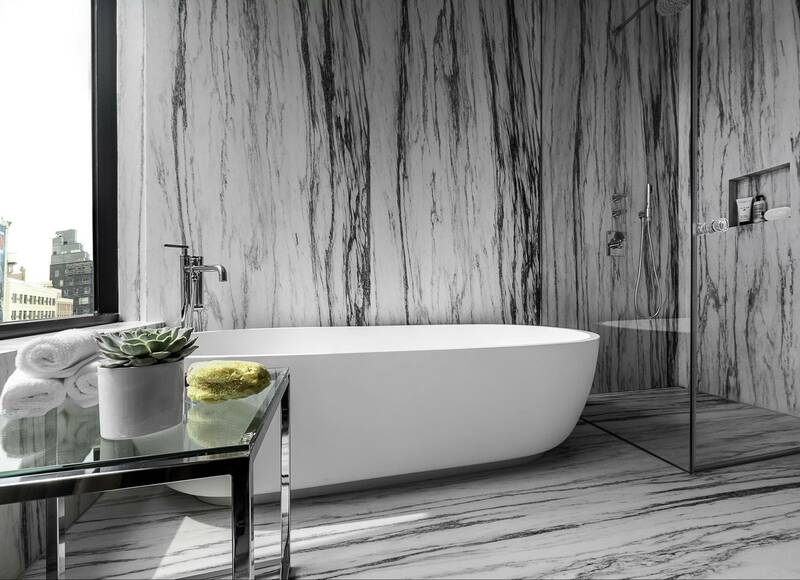 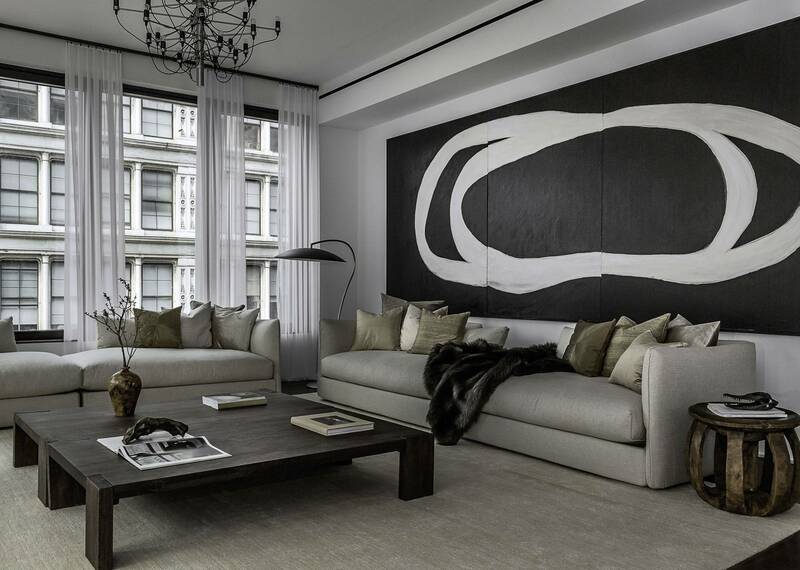 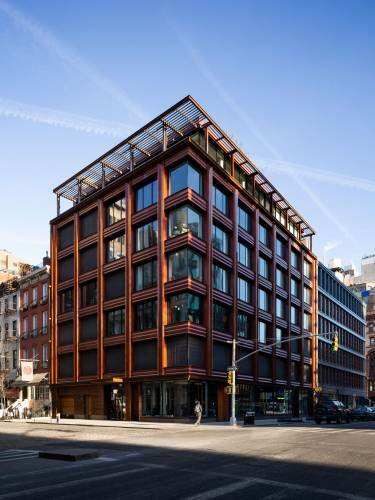 This new 34,000 sf residential building makes a strong contribution to New York’s NoHo neighborhood, a landmarked district characterized by elegant loft structures built during the late 19th and early 20th centuries. 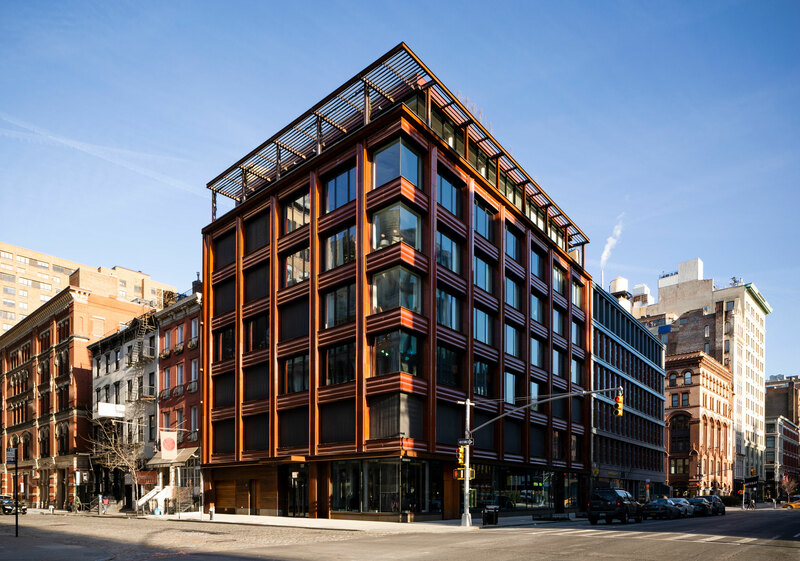 The modern design resonates with the surrounding historic buildings by echoing their low-rise scale, regular rhythm of structural bays, large windows, and highly crafted facades. 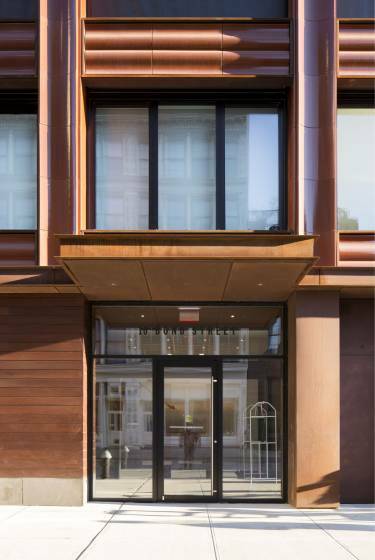 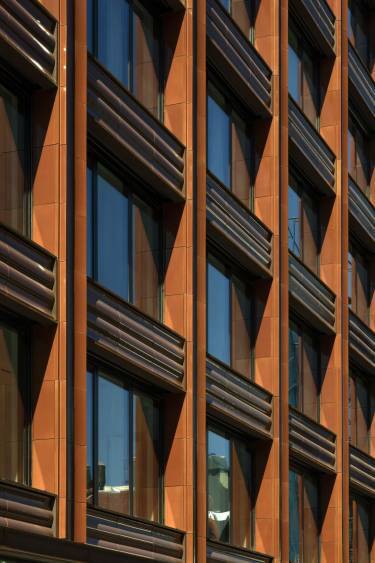 Terracotta, a material traditionally used to create architectural ornament, forms 10 Bond Street’s distinctive exterior. 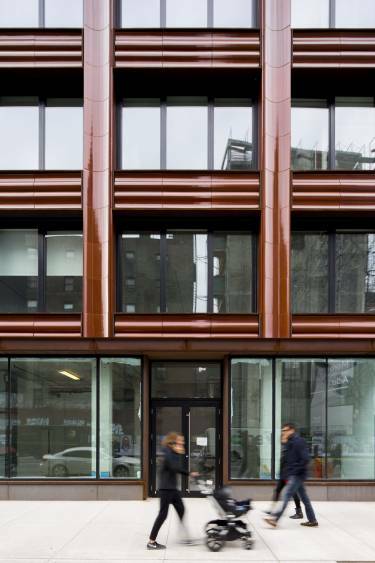 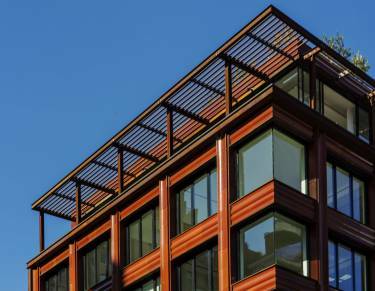 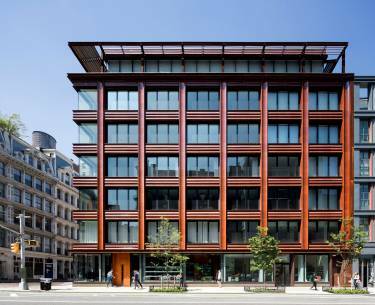 Individual terracotta panels are custom cast with a curved profile, glazed in a deep russet reminiscent of the area’s brick neighbors, and trimmed with weathered steel. 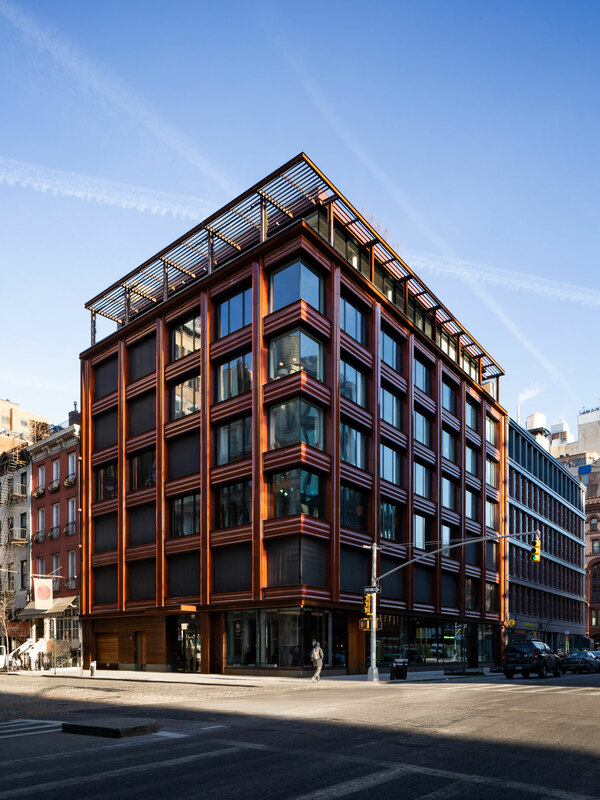 Inside, the 7 story-building contains a maisonette, nine private apartments with open loft-like layouts, and a penthouse with a brise-soleil covered terrace and roof garden. Expansive glass windows provide urban views, immersing each unit in natural light and its surrounding architectural context. 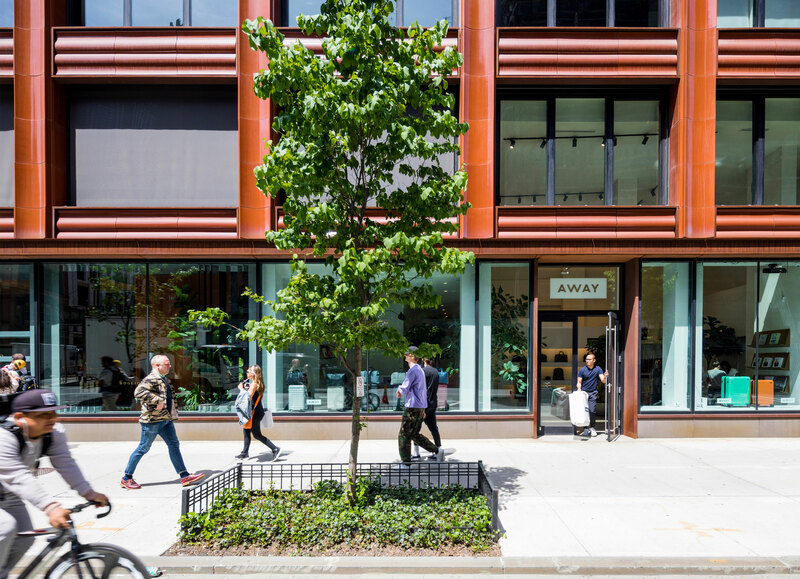 Retail shops on the ground level facing the busier Lafayette Street, welcome the public and link the building programmatically to the neighborhood.